Future Makes History With Back-To-Back Chart Toppers : The Record Atlanta rapper Future achieves a first in the history of the Billboard 200 chart with his back-to-back No. 1 albums, FUTURE and HNDRXX. Future in Paris on March 5, 2017 during Fashion Week. As expected, Future debuts at No. 1 on the Billboard 200 albums chart (dated March 18) with HNDRXX, his fifth chart topper. It replaces his own self-titled album, which bowed at No. 1 a week earlier. 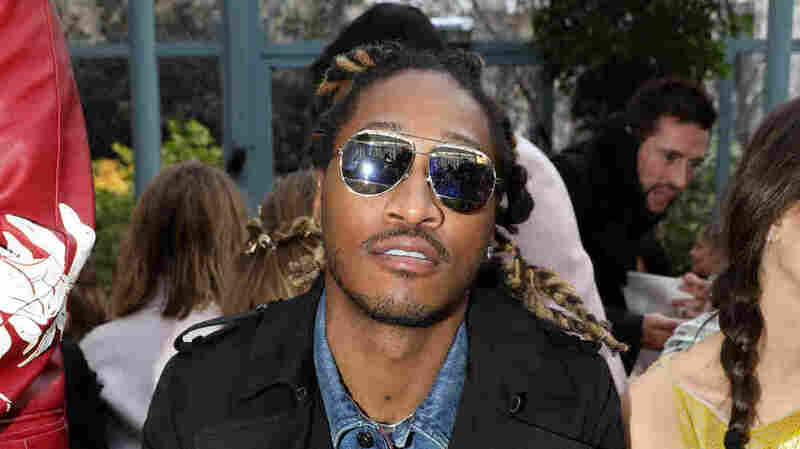 Future is the first act in the nearly 61-year history of the chart to achieve back-to-back No. 1 debuts in successive weeks. The rapper is also the first artist to succeed himself at No. 1 on the Billboard 200 at all (counting not only debuts) since 1968. He's additionally the first soloist ever to claim the honor. The news caps a whirlwind week for the Atlanta-based artist, who taped an appearance on The Ellen DeGeneres Show in L.A. last Wednesday before jetting to England for a performance in honor of his Reebok Classics partnership, then back to New York for a Reebok pop-up event, and finally to Paris for Fashion Week. Replacing himself atop the chart puts him in rare air alongside such acts as Simon & Garfunkel, The Monkees, Herb Alpert & The Tijuana Brass, The Beatles and Peter, Paul & Mary. The record-setting strategy of releasing two major-label albums within two weeks largely reflects the mixtape culture from whence Future emerged, where flooding the market is standard. He recently spoke about how he began conceptualizing the unique release plan last year. "I just reflected on it and was thinking about doing this since the end of last summer. I started thinking about how I wanted to put the project out," he told Billboard, adding that he had no idea at the time whether making history with two No. 1 albums was guaranteed. "With the timing of the music, I didn't know because it was so much music coming out. I wouldn't know the space and timing that I would have for the music." Future also addressed rumors of a planned third album, saying that there are no plans to release more music "right now."